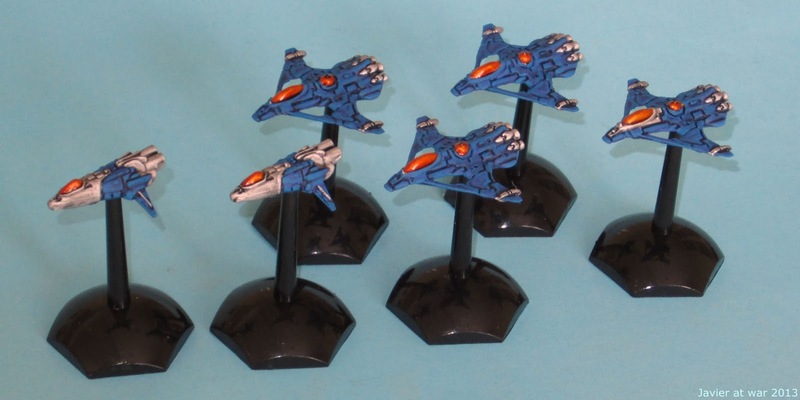 With these 10 mm miniatures from Pendraken I just painted this morning, I finish another project I started here and here. 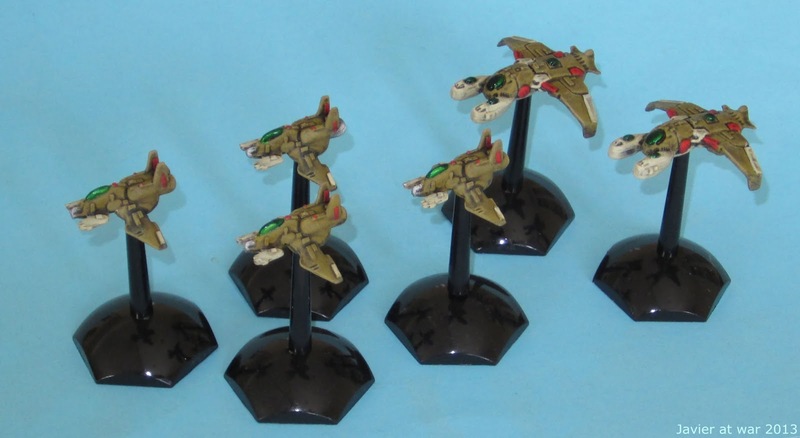 My intention is to play some skirmishes with them and some dungeon bash as well. I hope to post a BATREP soon. 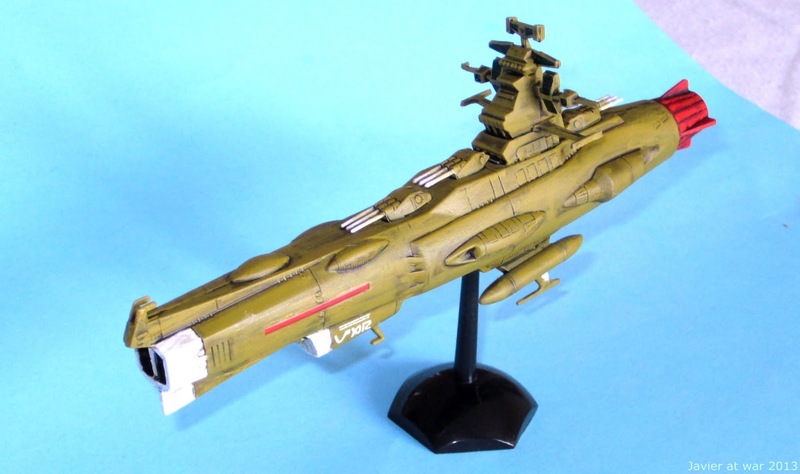 I ordered three ships from the Yamato/Star Blazers serie to Hobby Link Japan for just 13 € including P&P! They have an excellent customer service and packaging and I recommend them. Well, here you have the two small ones of 12-13 cm. long, but the big one, a carrier, is 25 cm. long. I will paint it next and post a picture of two next to these babies. I painted these two ships with the Hishen colours as I did not have any Hishen Capship. They will soon participate on a new campaign I am designing and which be released as a future supplement for 5150 Fighter Commander. I just finished the last batch of plastic Silent Death fighters that I am using for 5150 Fighter Commander. 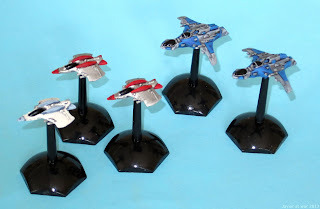 After this I will start with some capital ships I ordered to Hobby Link Japan. Soon I will start a new campaign with all these ships. Este es el último grupo de naves de plástico del antiguo rango de Silent Death que estoy usando para jugar a 5150 Fighter Commander. Después de esto pintaré algunas naves grandes que pedí a Hobby Link Japan. Pronto empezaré una nueva campaña con todas estas naves.